You need to help your child learn how to properly take of their teeth through brushing and flossing. However, having clean teeth isn’t everything. 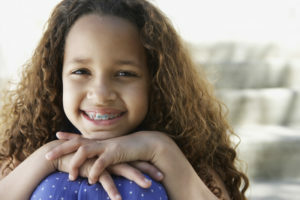 Early orthodontics is needed for some children who have bite and alignment problems that could lead to problems later on in life. Early orthodontics seeks to correct bites to avoid problems with speech, biting, chewing, and more. If done correctly, early orthodontics can set a child on the path to a healthy mouth free of tooth decay and gum disease. Read on for our tips for success with early orthodontics and for protecting the health of small mouths! Rinse with water before brushing. Teach your child to rinse with water after eating. 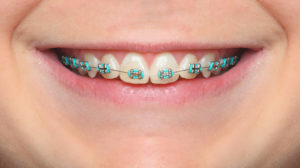 This will loosen food that may be caught in the braces. Follow rinsing with a thorough brushing. Teach your child how to properly brush their teeth and monitor them after they are able to use a toothbrush on their own. You will have to brush your child’s teeth until around age 3, or until they have the dexterity to brush and floss alone. Make sure they brush long enough, correctly, and several times a day. Brush an infant’s teeth with an infant toothbrush and increase the toothbrush size as they age. Children will need about a pea-size amount of toothpaste and infants will only need toothpaste equal to the size of a grain of rice. Floss once a day. Ensure your child is flossing each day or each night. Flossing helps loosen food debris and plaque at and under the gum line that can harden into tartar. Flossing also helps remove food debris from the small, hard-to-reach areas of the teeth that might be difficult to reach with a toothbrush. Flossing takes time to learn, so practice this skill frequently with your child. Use a fluoride rinse. Parents should always be the one to administer a fluoride rinse. Rinse with fluoride after brushing and before bed to help keep teeth strong and healthy. This treatment will help prevent tooth decay in your little one. Schedule dental visits every 6 months. After your child starts getting teeth, they should visit the dentist for a checkup and cleaning every 6 months. This will help keep your child’s mouth healthy during treatment. The American Association of Orthodontics recommends that children have their first orthodontic visit between the ages of 7 and 8. Having an examination early-on will prevent the progression of orthodontic issues that can become severe later on in life. Not having your child’s bite checked can lead to problems with their teeth coming in correctly or staying upright. Teeth may form gaps between one another, making speech impediments common and making it more difficult to bite and chew food. Crooked teeth coupled with a misaligned bite also leads to chipped, broken or cracked teeth, as well as a higher risk for tooth decay and gum disease. At each appointment, we will adjust the wires so that a child’s bite will eventually line up correctly. These braces need to be cared for just as much as an adult’s or teenager’s braces. Cleaning the teeth with braces is much trickier, especially for young children, so their success is dependent upon how much parents help them care for their braces. Brush after every meal. If food doesn’t have time to sit on the teeth long, then you can prevent stained teeth and reduce the risk for bacteria buildup. This keeps your child healthier. Use threadable floss or a floss threader. Don’t let your child skip on their flossing or they could wind up with tooth decay when those braces come off. Use a proxabrush or waterpik. A proxabrush is a “Christmas tree brush” that you place between two brackets and below the archwire. Brushing back and forth can give the teeth a better clean. For hard-to-reach places in the mouth, children can also use a waterpik. This is a device that shoots water to dislodge stuck food. Children get a better clean when these two tools are used. Avoid hard or sticky foods. These types of foods lead to tooth decay or broken brackets. Avoid hard or chewy candies, chips, ice, apples, popcorn, nuts, corn on the cob, caramel and more. 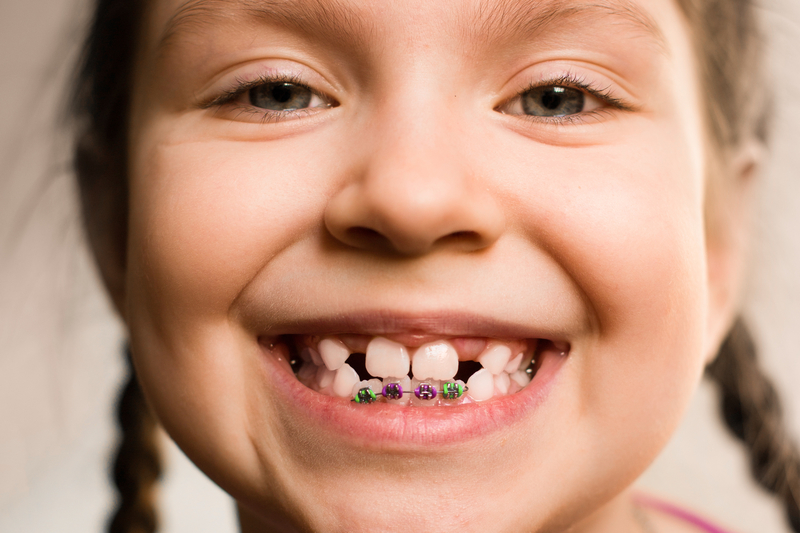 Does Your Child Need Early Orthodontics? If you haven’t gone to visit an orthodontist, schedule an appointment today! You can also ask your dentist if they see problems forming with your child’s bite and alignment. However, only an orthodontist can perform child orthodontics. Investing your time in correcting your child’s bite can set them up for success for the rest of their life. To schedule your child’s appointment for early orthodontics, call Belmar Orthodontics today at (303) 225-9016!